You've got the cool yoga threads and your spot in the hot yoga studio, a rocking surya namaskar, and an impressive crow pose. And you haven't even scratched the surface. Richard Freeman's yoga dives deep. His classes aim to open your heart and your eyes to what's really going on when you take your place on the mat. Richard Freeman is a revered ashtanga vinyasa yoga teacher whose relaxed manner belies a rigorous application of yoga principles from several major disciplines shaped by a healthy dose of his own interpretation. His studio, Yoga Workshop in Boulder, Colorado, is one of the oldest ashtanga studios in the United States. Freeman has written books (The Mirror of Yoga is a well-known examination of yoga's many influences) and produced DVDs. He lectures and runs training workshops worldwide and teaches a regular ashtanga vinyasa class when he's not on the road. A chance reading of Thoreau as a teenager set Freeman on his eclectic path through Transcendental and Eastern philosophies in the 1960s. Eventually, he spent nine years in Asia studying Vipassana Buddhism, Sufism, Zen, and classic hatha yoga. He trained with B.K.S. Iyengar for many more years and ultimately discovered ashtanga vinyasa yoga and his main teacher, Pattabhi Jois, in Mysore, India. At that point, Freeman's focus turned to ashtanga and in-depth work with pranayama, breathing asanas. Freeman teaches with metaphor. He'll talk a class through a sequence of asanas, reminding students to "…spread the shoulder blades like cobra hoods…" and "Open the great wings of the breath…" as he leads them in a flowing series of forward bends in which each move is coordinated with breathing. Breathing is central to Freeman's approach for both correct posture and enhanced awareness. He uses the metaphors to encourage good alignment. Engaging the imagination and painting word pictures to help yogis refine their moves actually assists proper form according to Freeman. As the details of a difficult pose become clearer, a student's ability to flow from one pose to the next improves, coordinating the breathing becomes more natural, and the attention is centered on the performance of the asana; distractions melt away. This brings the practitioner full-circle, through the physical poses to a state of stillness and readiness for meditation. 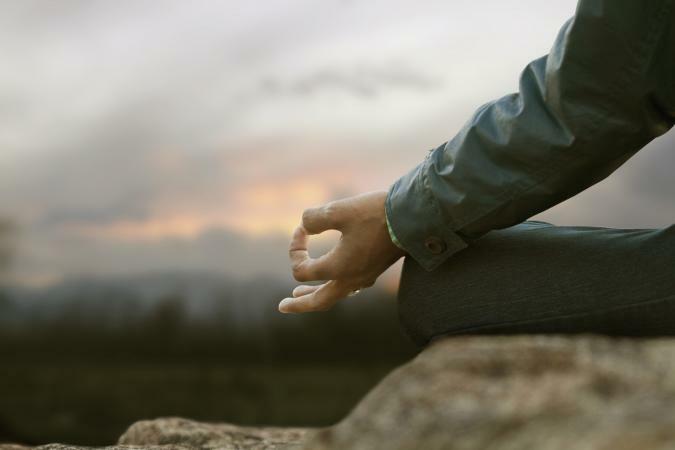 The practice of meditation is the purpose and pinnacle of yoga. Richard Freeman's yoga is informed by all of his studies, his years of diligent practice with demanding masters, his schooling in the ancient sacred language of Sanskrit, his extensive reading of the scriptures, and his keen interest in the integration of all he learned. His approach to yoga is deeply philosophical. His yoga is not a fitness program, not a tightening and toning discipline, not a mere tool for stress management. Yoga is, as Freeman teaches it, the act of the seeker on a journey to discover the self, the work -- in real time -- of breaking through illusion to understanding. Yoga can wander far afield of the spiritual, the essential, into the realms of commerce, competition, therapy, or fashionable trend. Freeman grounds yoga in its philosophical origins and returns it to its original purpose. Ashtanga vinyasa practice is not easy. The sequence of poses is challenging, the repetition requires discipline, and the classic method, even adapted by gifted teachers, is traditional -- no gimmicks, no hot new anything, but plenty of sweat. Digging into the eloquent and intricate teachings about yoga and the nature of the self adds a definite layer of complexity to a yoga practice and is, itself, a lifelong exploration. So, no mindless yoga for a post-workday feel-good. You're working with intention and attention -- emphasis on "working." The advantages are awesome, though. Freeman's flowing classes are so steeped in the rich culture of yoga and contemplation that each practice is an adventure. You are in competition with no one but yourself, and the point is to be compassionate as you master the poses, the breath, and the discipline. Freeman's personality puts nervous newbies at ease and engages seasoned yogis in a workshop or class. He appears unselfconscious, authentic, attentive, and fully engaged in the moment, whether he is leading a class, sitting for a televised interview, or taping a video. His subject matter and his style of yoga are challenging. 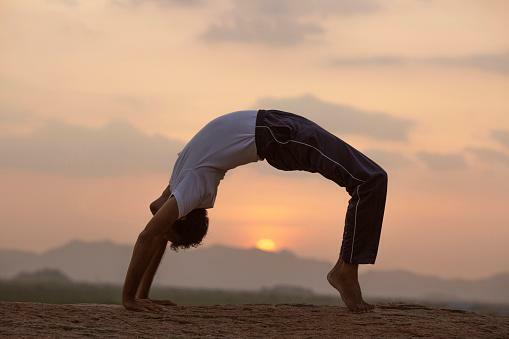 Yoga's origins are complex, and the language that captures them is difficult to comprehend. Ashtanga sequences are famously demanding. Freeman makes it seem ordinary but important and very accessible but still an admirable achievement. Richard Freeman is a synthesizer. His deep and broad study of the ancient texts of yoga -- the Upanishads, the Vedas -- classic Hindu fables such as The Mahabharata, the teachings in Patanjali's Yoga Sutra, the Sanskrit language, and the practice of sacred chanting enrich his classes. His personal engagement with the contemporary teachings of the great yoga masters -- Krishnamacharya, Iyengar, and Pattabhi Jois -- color his own philosophy of yoga and his teaching style. Freeman yoga is inventive, imaginative, and informed by the entire history of Eastern yoga tradition. 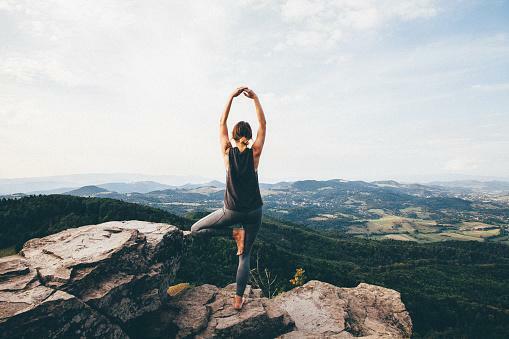 If you're looking for more than a weekly fitness fix, head for Boulder or hunt down a local teacher trained by Richard Freeman and try his particular brand of yoga to see where it takes you.